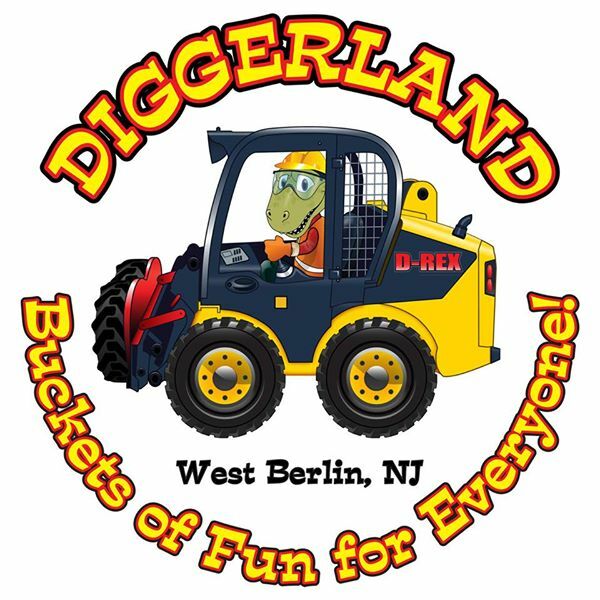 Diggerland USA is the only construction themed adventure park in North America where children and families can drive, ride and operate ACTUAL machinery. The park, which covers about 14 acres in West Berlin, NJ (20 minutes from Philadelphia), is comprised of over 25 attractions. The majority of which are real, diesel powered, full size, pieces of construction equipment. Each machine has undergone advanced engineering modifications which make them safe for the public, allowing children as small as 36'³ to operate with little to no instruction. Guests who visit Diggerland can drive full size backhoes, dig giant holes with real excavators, and operate just about every sort of construction machine you might imagine ' from the skid-steers to the recently unveiled ARGOs, made famous by their amphibious qualities. Along with operating heavy machinery Diggerland guests can climb one of the world's tallest ropes courses, take an off road adventure in our military trucks, tackle the rock wall, spend time in the video arcade or enjoy one of the daily heavy machinery stunt shows performed by our operating team.